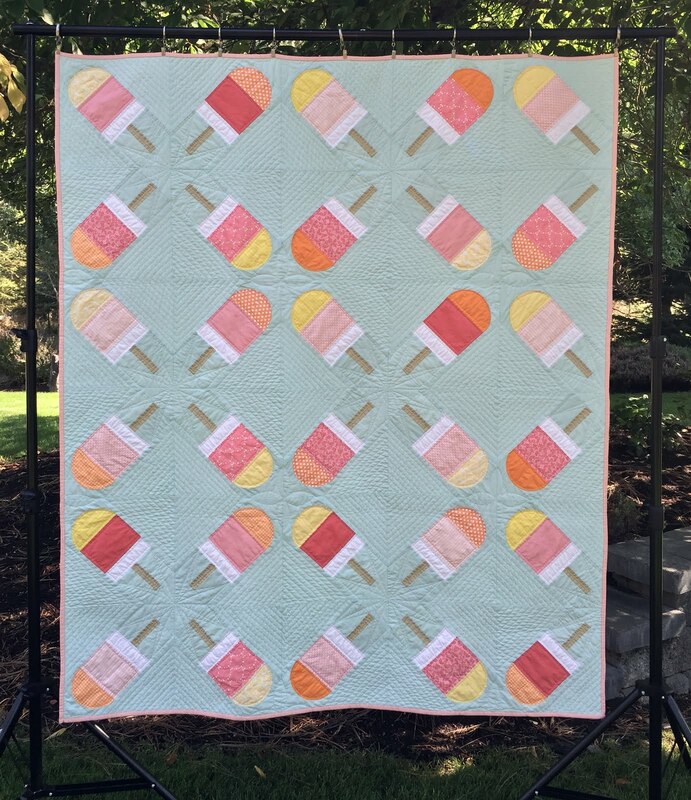 I finished a throw size quilt (57 x 68) and not just any quilt but the Busby Berkeley Inspired Popsicles quilt I've been working on for a couple months, almost exactly two months! 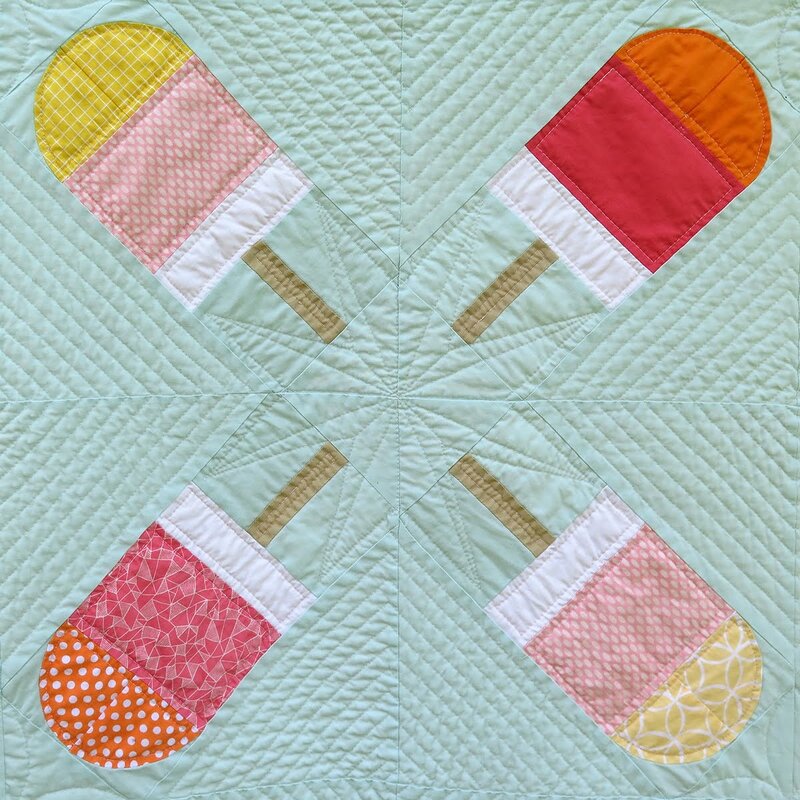 Busby Berkeley Inspired Popsicles Quilt! I don't typically design using blocks but I couldn't pass up this Popsicle inspiration. When I design I usually see the whole area as a blank canvas to create on so it was unusual for me to start with a block. 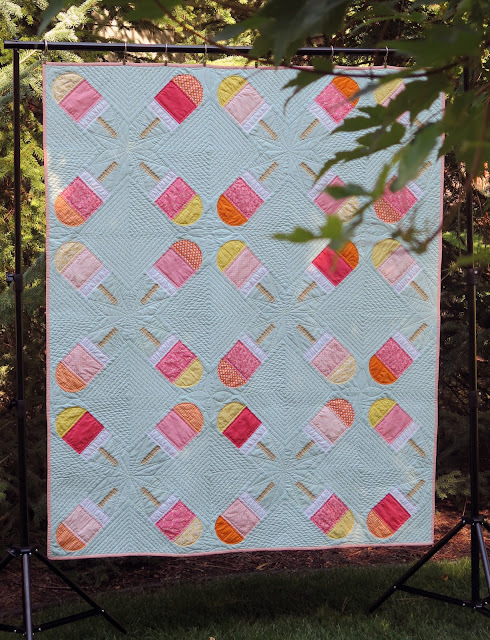 The idea first came into my head when I saw a great promo for craftsy.com featuring some popsicles. Around the same time I started thinking about some old movies I'd seen and for whatever reason I landed on Busby Berkeley and his over the top choreographed dance scenes but it wasn't until I was laying out my quilt top with the popsicles that I got the idea to combine the two inspirations. 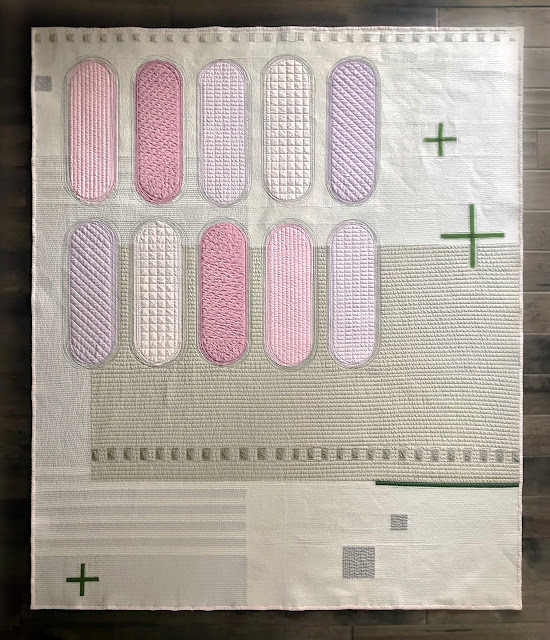 This quilt was a change challenge for me and even though my points don't match up I'm very proud that I saw it through to the end. I also chose quilting to accentuate the Busby Berkeley theme. 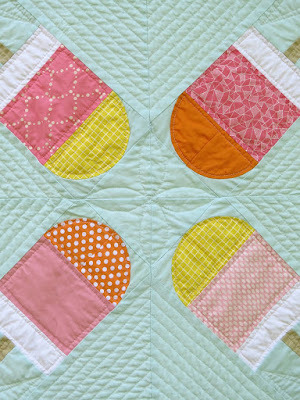 For the back of the quilt, no surprises, I used a Cotton + Steel fabric. 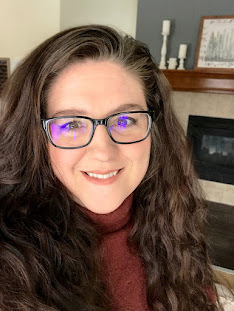 The colors on Melody Millers Trinket Whistles in pink is perfect and I just love her designs! In closing, last post I hinted that I'd been doing a lot of designing lately and I have. 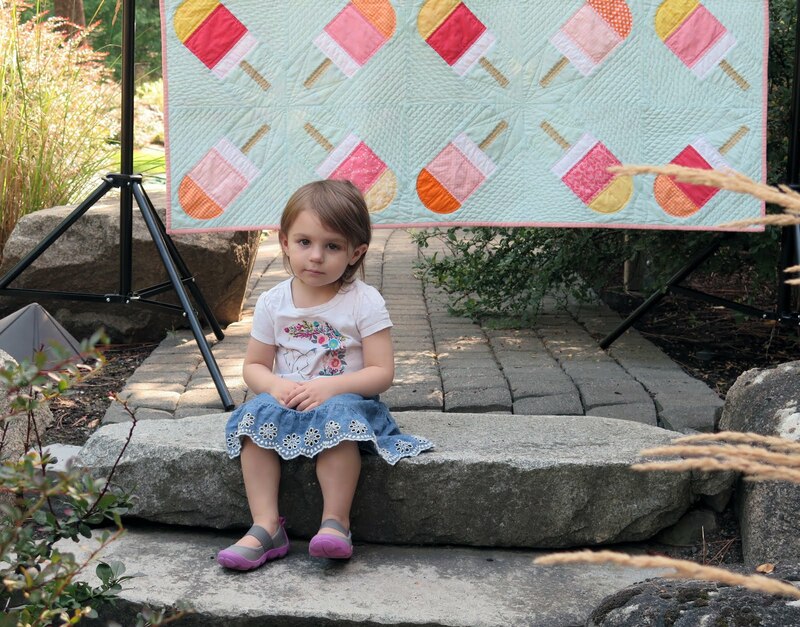 I am participating in an Instagram challenged hosted by @stitchedincolor and @gothamquilts, #30daysofquiltdesigns. 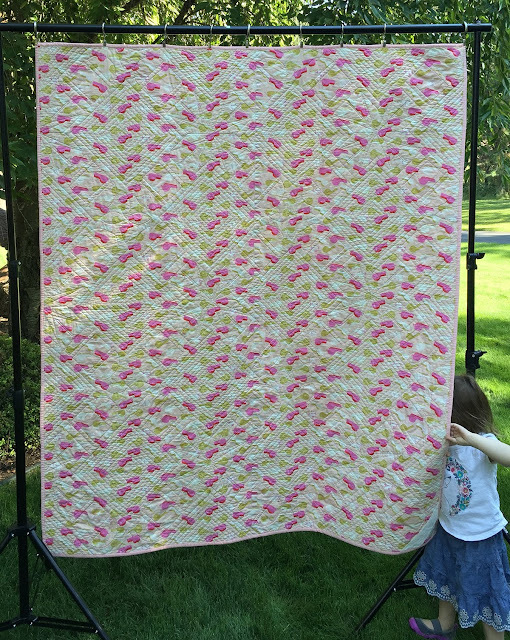 I've done 20 designs so far and have even created a few I'd like to make into quilts. If you get a chance check out my Instagram account @quiltachusetts or the challenge hashtag. Now I feel like an iceblock(Popsicle)! I know the feeling. While working on this quilt I could almost taste a cherry push-up... I found your blog, love your quilts! This is lovely! The colors just sing, and who could resist Busby Berkeley executed in popsicles? 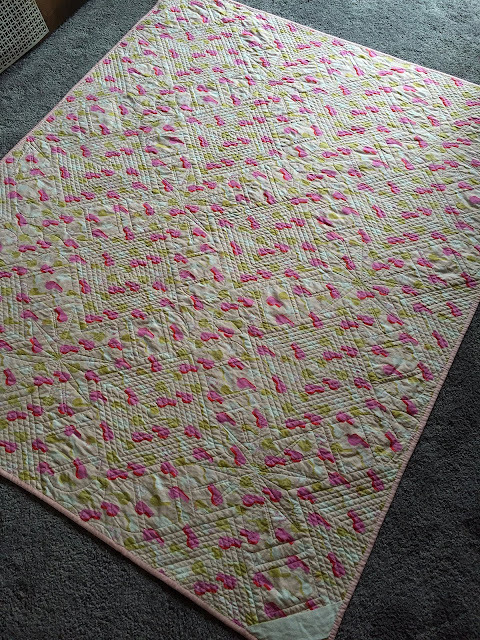 I arrived at your site via In Color Order's pin of your gorgeous Mountain Scene quilt. Consider yourself bookmarked!